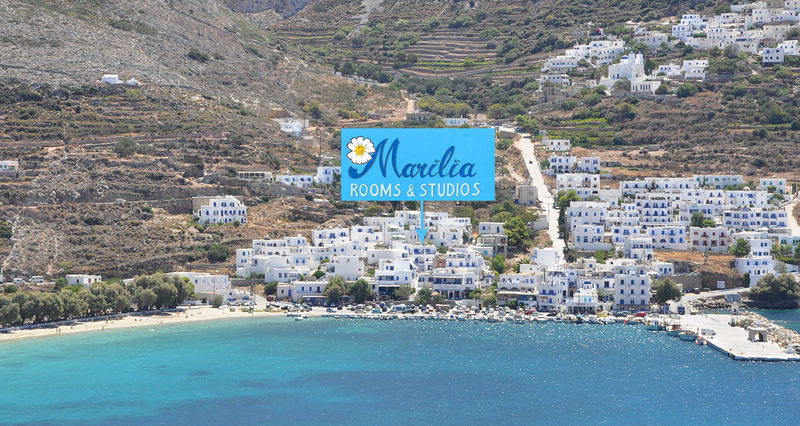 MARILIA ROOMS & STUDIOS are located in the centre of the port of Aegiali on the north part of Amorgos Island. The accommodation is in a calm, quiet area near to the pleasant sandy beach and all amenities, making your vacation easy and relaxing. Aegiali is a charming bay area surrounded by three picturesque settlements: Langada, Tholaria and Potamos. Aegiali is situated around the hillside with spectacular views and beautiful walking paths full of herbs and flowers. The whole area is scattered with whitewashed houses, stone-paved alleyways, beautiful churches and ancient sites. The village of Aegiali offers you a variety of restaurants, shops, cafés and bars. From our studios you are nearby all transport you need to discover the rest of the island.